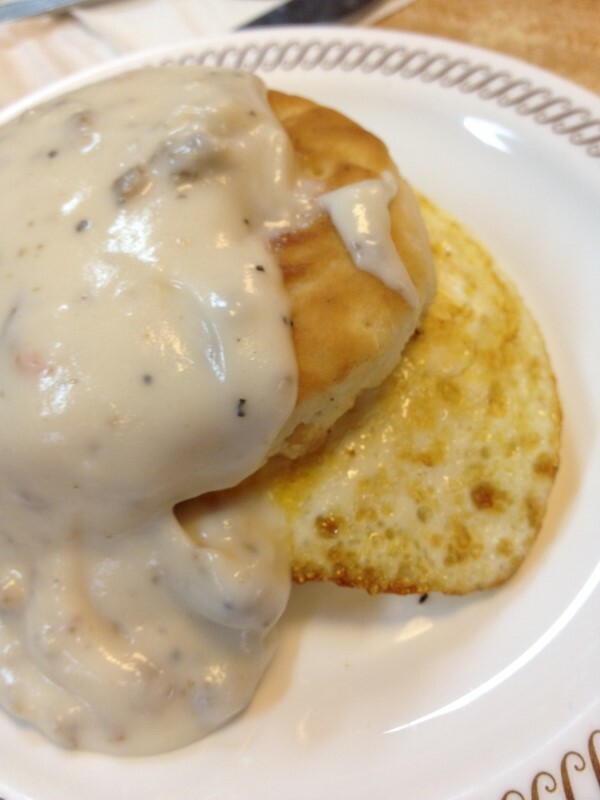 Chipped beef served on toast or biscuits has long been know by its alternative name which we can not enter on our site – SOS – Something on Shingles. In a medium saucepan, melt butter. Add the ground beef and onions; brown meat with onions. Sprinkle flour, salt, and pepper over meat. Cook 2 to 3 minutes to blend flour. Add milk. Reduce the fire to a smidgen and cook for another few minutes until it thickens. Breakfast sausage may be substitued for ground beef.